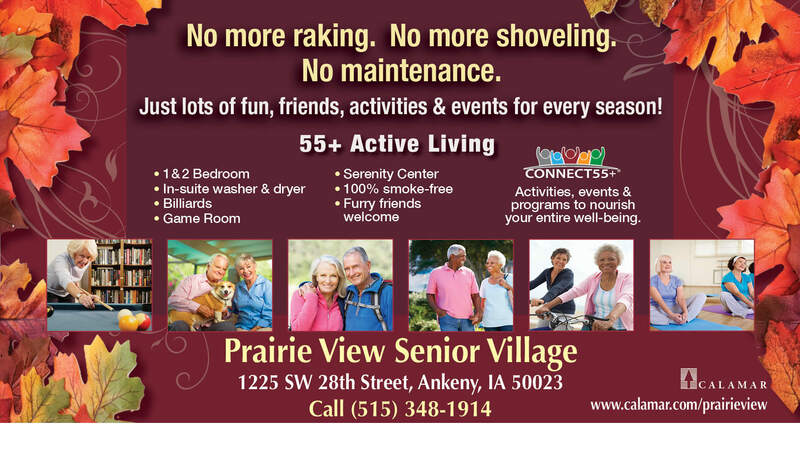 Featuring roomy one and two bedroom apartments for those 55+, Prairie View was designed based on direct feedback from people just like yourself! We listened to your opinions and desires, and are proud to present the fabulous results. The best amenity however, is meeting new friends and all the social activities you can enjoy! Select Prairie View as your new home and begin to enjoy carefree living. Call 515-518-5774 or email prairieviewmanager@calamar.com for more information, and to learn how to make this your future home!